For well over a decade, PokerStars has reserved a prominent place in the online poker world. Today, the word “prominent” doesn’t even do the site justice since PokerStars absolutely obliterates their competition in the industry. But even for a company as dominant as PokerStars, there have been plenty of bumps along the way. 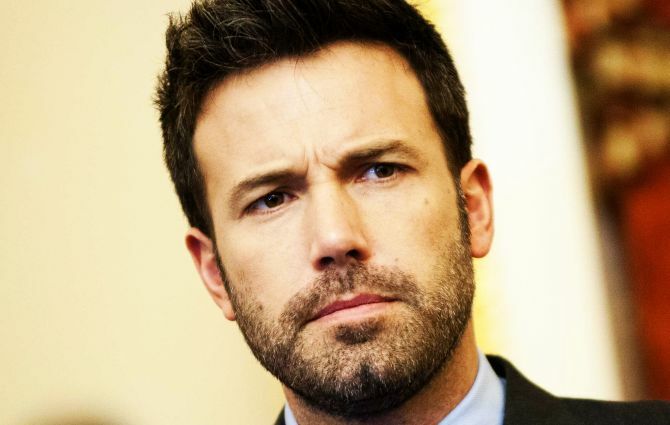 Former PokerStars marketing executive Dan Goldman has recently been discussing some of these rough patches through his blog, including botched deals with Ben Affleck and the James Bond brand. That said, let’s discuss these two interesting stories and how they went horribly wrong. In 2006, PokerStars was holding their second event at the Atlantis Resort & Casino. At the same time, Atlantis was working with Eon Productions on the James Bond film Casino Royale. Going further, the Texas Hold’em scene from Casino Royale was being shot at The Ocean Club, Atlantis’ upscale neighbor/partner. Goldman ended up meeting a guy whom he calls “Gene Voltshiker,” and they discussed the possibility of Eon and PokerStars working together. Their plan was for Stars to hold a number of online tournaments that culminated in a live final table at the same location that Bond (Daniel Craig) and Le Chiffre (Mads Mikkelsen) faced off. Gene even wanted the tournament to be worth $100 million, just like the film, but Goldman knew this wasn’t happening. This also put PokerStars in touch with all the prestigious Bond partners, including Aston Martin, Omega, Sony and more, which spawned further partnerships for the online poker giant. Gene and Goldman continued meeting to hammer out details on the tournament and everything seemed to be going great. However, things whent downhill when Goldman could no longer get a hold of Gene. After numerous emails and calls, he finally asked some Bond partners to put pressure on Gene to call him back. This worked, but Gene delivered the bad news that Eon’s outside counsel thought partnering with PokerStars proved too risky. Stars was also informed that they could no longer use the Bond name, logos and trademarks on their site. Ultimately, this botched deal cost Stars hundreds of thousands of dollars and hours of wasted manpower. Two years prior to the Bond deal going south, Goldman and Stars networked their way into a discussion with Ben Affleck. The famed actor was playing quite a bit of poker in California card rooms at the time and the site’s owner, Isai Scheinberg, was enthusiastic about working with Affleck. Specifically, Scheinberg wanted Affleck to attend the 2004 PokerStars Caribbean Adventure, which was held on the Royal Caribbean Voyager of the Seas cruise ship. Goldman originally thought the $1 million appearance fee that Affleck wanted would be a dealbreaker. However, Scheinberg gave the okay to make it happen. But things got even more complicated when Affleck’s agent demanded that his star be flown to the Bahamas on a private jet, then taken to the cruise ship on a helicopter (he doesn’t board with passengers). This brought Goldman’s total Affleck expenses up to $1.4 million, which Scheinberg still agreed to. The deal ended up not getting done, though, when they couldn’t get a permit in time from Homeland Security to land a helicopter on the boat. And in the end, Goldman didn’t mind because he thought having Affleck aboard the ship wasn’t worth the cost and hassle.